Tomorrow's weather is going to be rainy, so we spent a lot of time out-of-doors today. Our yard is bursting with spring-time blooms and I was enchanted when Sugar Plum wandered over with vinca flowers woven through her braid. I just love this girl! She has her ninth (!) birthday coming up at the end of May and has requested an April Cornell dress. I found one on clearance and already have it tucked away. I cannot wait to give it to her! I am so happy that one of my blog readers, Emmie (make sure that you check out her wonderful blog! ), mentioned that Cheryl Mendelson was the author of a few fiction books in the comment box. 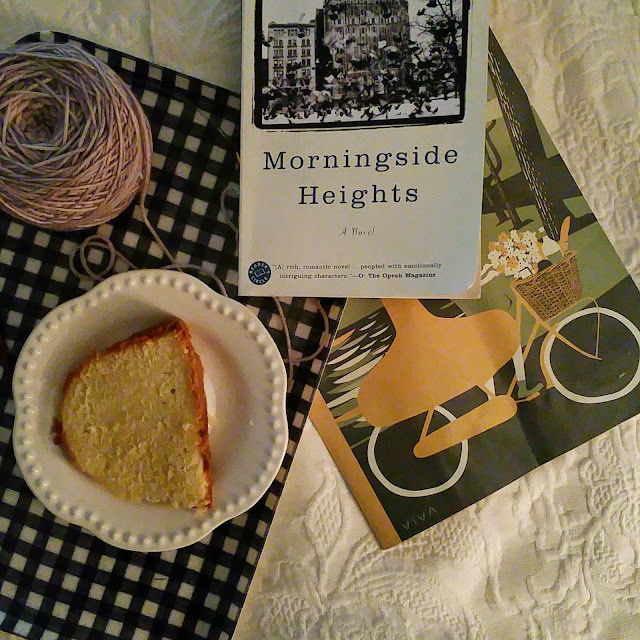 I ordered a used copy of Morningside Heights last week and have been enjoying it a lot. Mendelson is a great writer! Glad you are enjoying it! There is also a sequel I think? 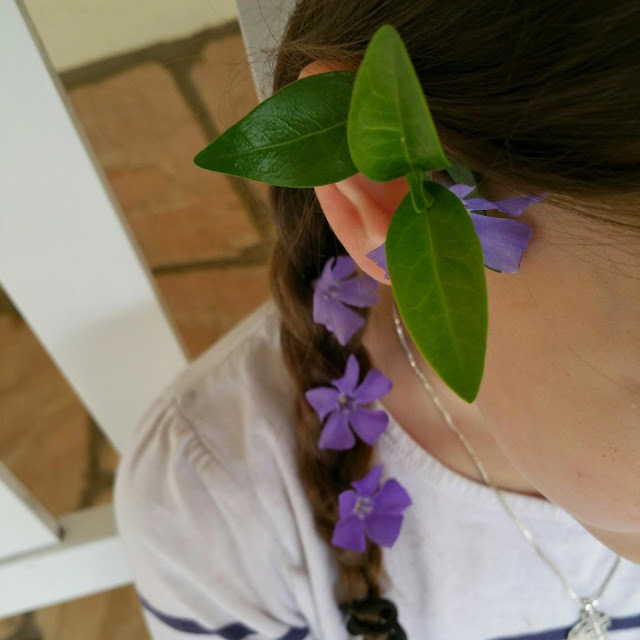 I love the vinca in your daughter's hair. Lovely. There's a dress that's actually called "sugar plum"
Oh, I didn't the the Sugar Plum dress until you mentioned it! It's so pretty! The dress is beautiful!! She will love it! What a classy girl :) My big girl is going to have a birthday this month, too!